If you’ve never been to Reddit, you should. It is a whole playground of diverse topics – everything from football to technology, or if you have some unique taste, some weirder subreddits too. 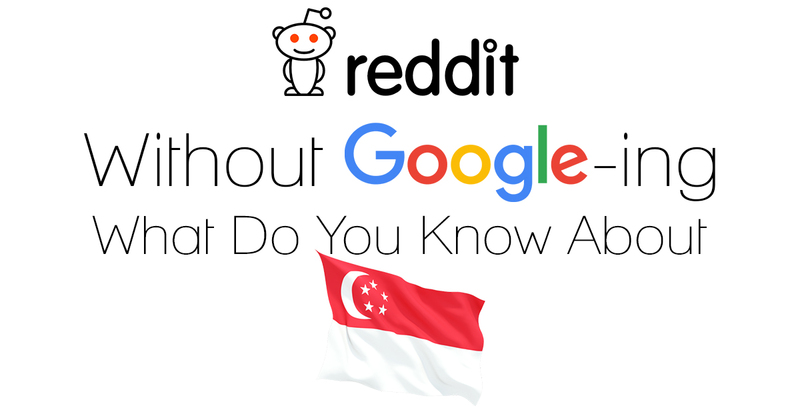 Today, I stumbled upon a question which, from what the answers are telling me, sheds light on how much (or little) the world knows about our sunny little island. 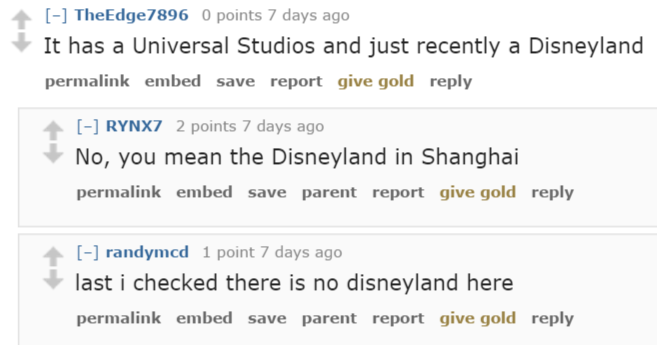 As with any thread under the askReddit subreddit, it always begins with an innocent question. 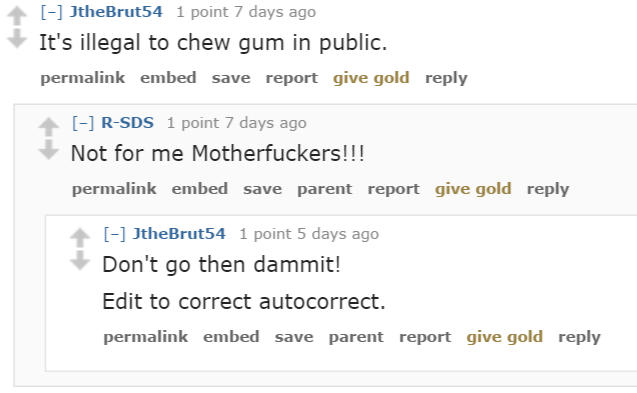 Right off the bat, there’s the mention of chewing gum. Oh, and props to blevok for remembering our ‘50-year flood‘. Then in came some Pirates of the Caribbean fans. While others heard of us because of the(in)famous Michael Fay. Then there are Redittors who explained a bit more. Quite spot on, I must say, especially the part about us living with our parents way beyond the age of what is traditionally accepted in the west. P.S. swypingtypos was trying to say pai seh. And no, for the upteenth time we’re not in China. Size is a recurring theme too. NEWater had a mention too. So did our crab dishes. Yup, we’re number two in the world! Okay, can’t say I didn’t expect most of them to appear, but to see them time and again sometimes makes for a good read on how people outside of Singapore actually see us; and from the looks of things, some things in the past will continue to define us.